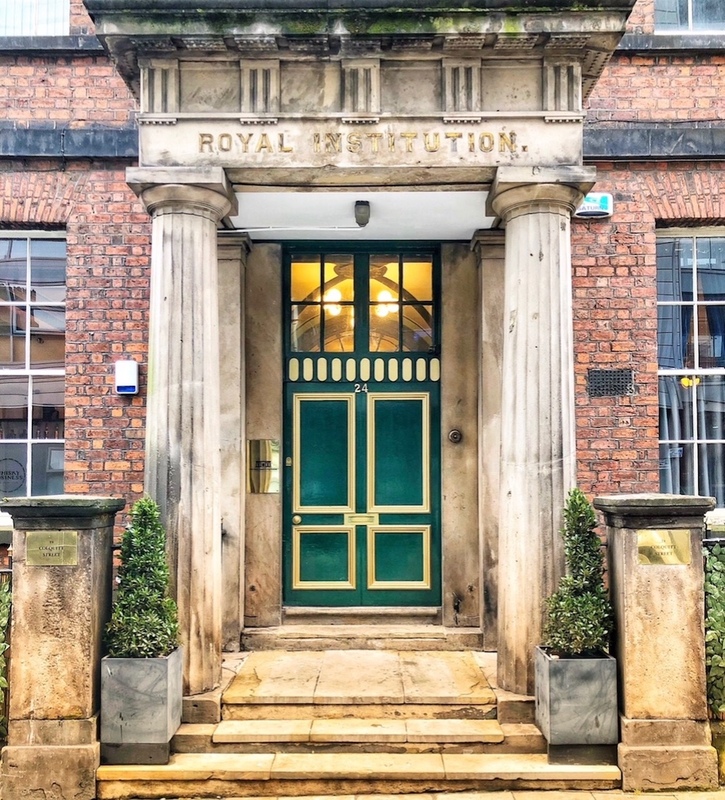 The Royal Institution, one of Liverpool’s most historic landmark buildings, has been transformed into the city’s newest private members’ club. 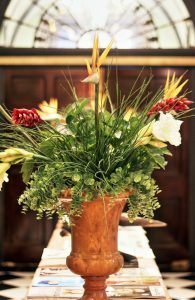 Owners, Gracious Development Group, have spent eight months restoring the Royal Institution, retaining original features and bringing back its former elegance to create a club where members can work, eat, drink and relax. With an all-day menu and meeting spaces, they hope it will become a place for Liverpool’s professionals and creatives to get together for work or take a break and enjoy bringing guests. 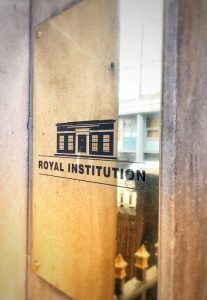 True to its 19th century roots, Royal Institution on Colquitt Street will combine style and service, with a range of complimentary perks available for members to take advantage of. Co-owner Ryan McMahon says: “We wanted to provide a comfortable and safe environment where people could come to relax and get really good service and great cocktails, premium spirits and champagne. Gracious Development Group has owned Aloha bar in the basement of the Royal Institution building for the past eight years, and originally intended to develop the site for its head office. 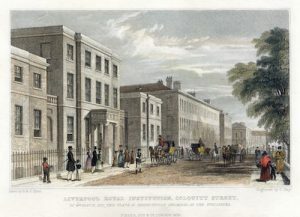 Royal Institution dates back to 1814, when it was first established by Liverpool philanthropists to “promote literature, science and arts.” It was officially opened in November 1817 by philanthropist William Roscoe and awarded its Royal Charter four years later. The downstairs rooms – now meeting spaces, an independent spirits, wine and beer merchant, restaurant and bar – were used by the Literary and Philosophical Society and by The Liverpool Academy. There was also a room to display paintings from William Roscoe’s private collection and books which featured beautiful colour lithograph prints of birds and insects by famous New York painter and ornithologist John James Audubon. A selection of those have now been reproduced in striking artwork on the walls of the new club, and the owners have also managed to track down one of only 50 original gilt-edged books presented to invited guests at the opening event to feature in the club’s archives. Potential members will be interviewed and Royal Institution will charge an annual membership fee of £250. Compared to London private members’ clubs like Soho House it’s low, but Ryan stresses it’s more about attitude than affluence.